After multiple postponements, my friends and I were finally able to go on a trip to Brighton last Sunday. Since we all live in the same hall, it was easy to meet up and set off to the tube station. We bought tickets (£7 return only!!) from St Pancras to Brighton, only to realise halfway through that the train actually stopped by a station right next to our hall… Nonetheless, the journey to Brighton was a cheery one, consisting of card games and laughter. When we arrived at Brighton, it was only 11am. One of my friends had prepared a whole list of restaurants to visit, but only the gelato shop was open at the time. 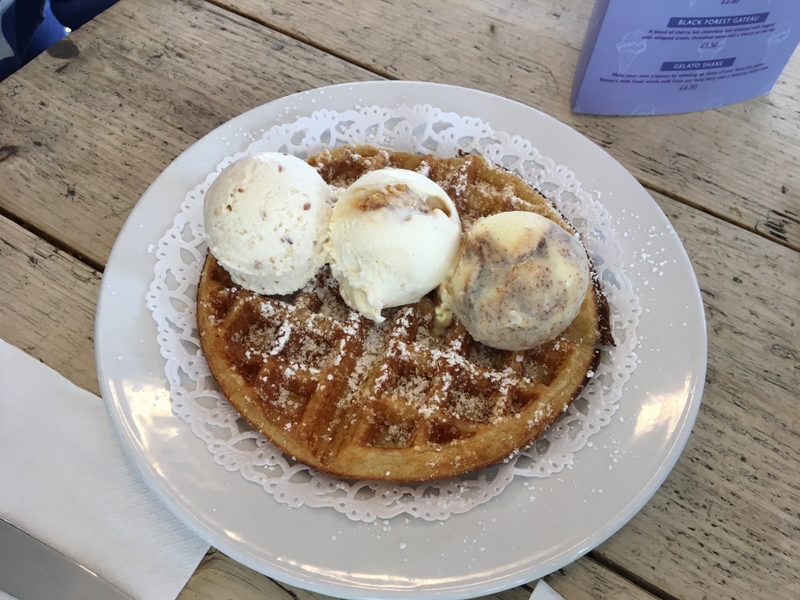 The waffle was amazing, but the gelato tasted more like ordinary ice cream. After visiting the gelato shop, we went to a Mexican restaurant. 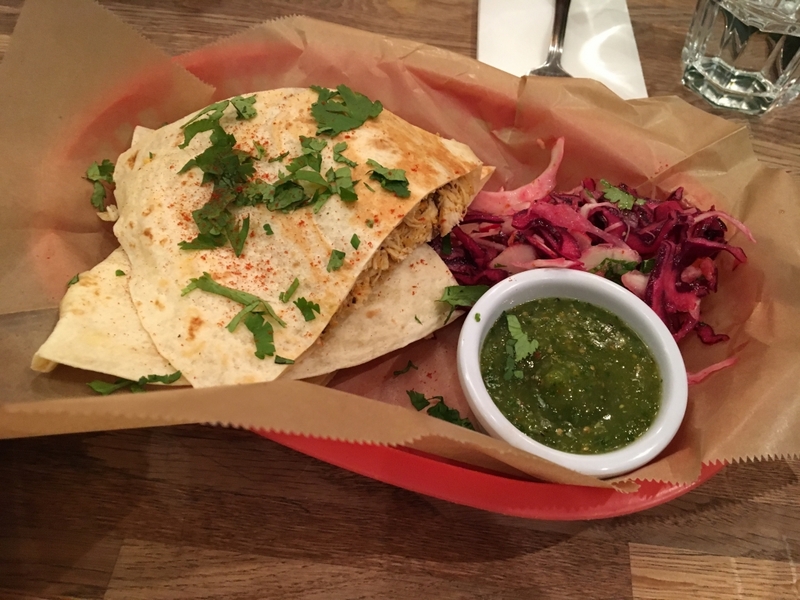 The quesadillas with pulled pork tasted heavenly and we all left feeling very satisfied. By the time we finished eating, it was around 1pm. 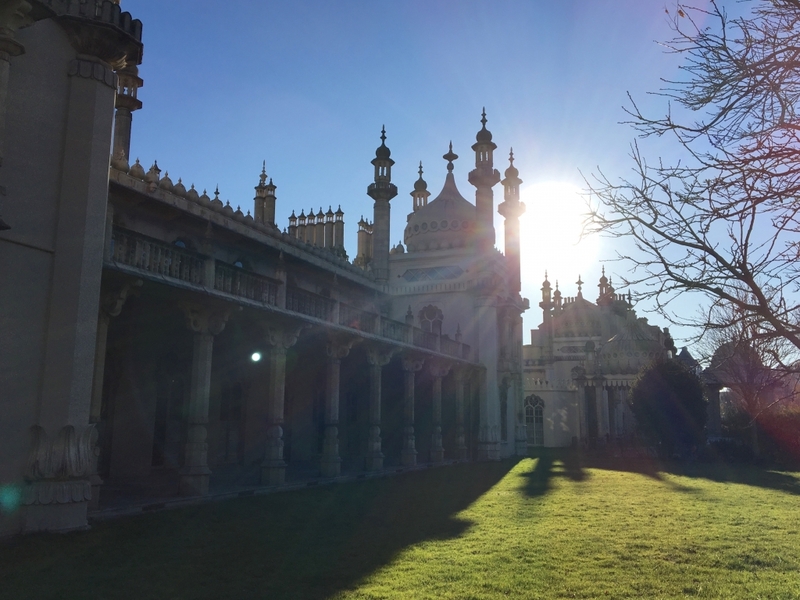 We wandered around and had a look at the Royal Pavilion, which had a small ice rink near the entrance as part of the Christmas festivities. Our final destination, however, was the beach.